Summary: In order to meet state and federal water quality regulations, the City of Atchison operates a Wastewater Treatment Plant (WWTP) located south of Jackson Park and Bartlett Grain. Each of the series of wastewater treatment processes that occur at the WWTP are critical for meeting water quality regulations. 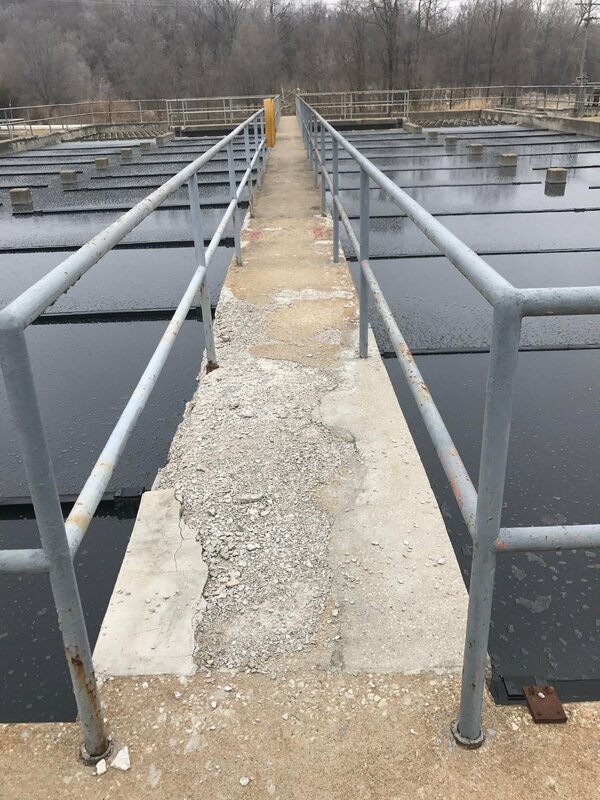 The primary clarifier process is contained within decades old concrete that has completely deteriorated. This project aims to repair or replace extensive amounts of concrete. Cost: To preserve the integrity of the bidding process, we avoid publishing detailed estimates prior to the bidding process. Funding: This project will be entirely funded by the City of Atchison’s Wastewater CSO CIP. This project is budgeted at $225,000.